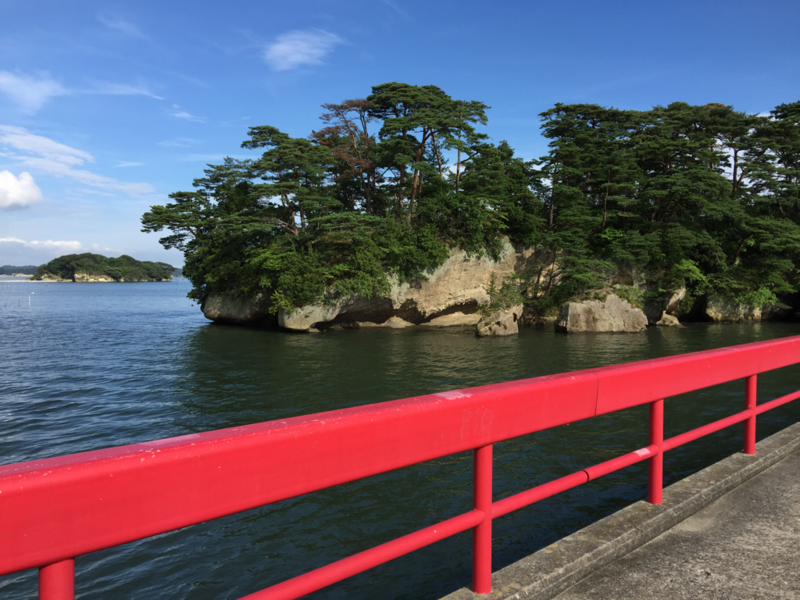 Today it was back down to sea-level (and to warmth) as we took the longish drive up to Matsushima Bay. En route we passed through Fukushima and several other towns which seemed to form one massive strip mall consisting of car dealerships, eateries, pachinko and slot emporia and the occasional hotel. Very American and not very attractive. 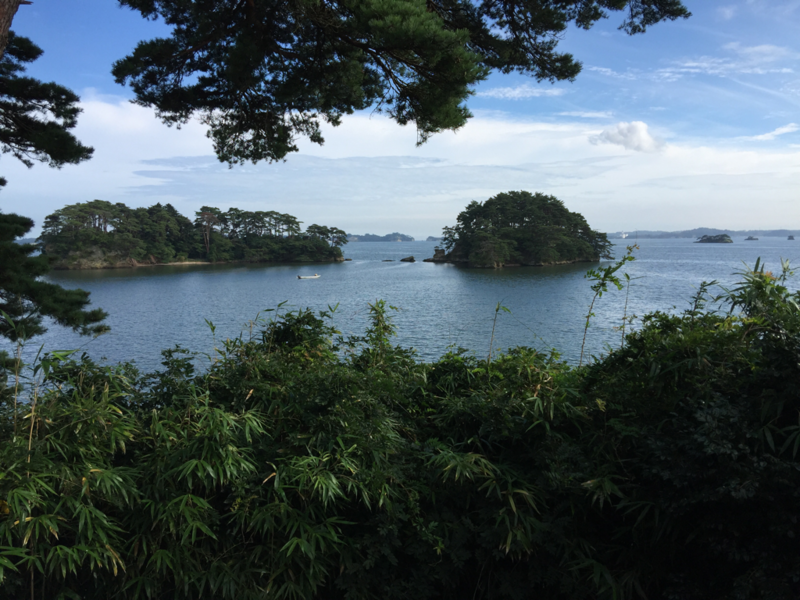 On the other hand, Matsushima Bay is very attractive, and had plenty of local tourists to prove it. 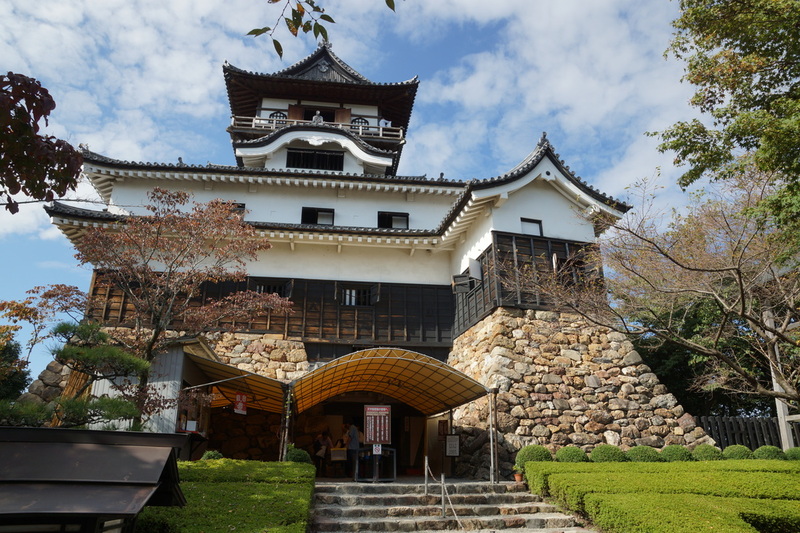 It is rated as one of the top picturesque spots in Japan, and we don't disagree. 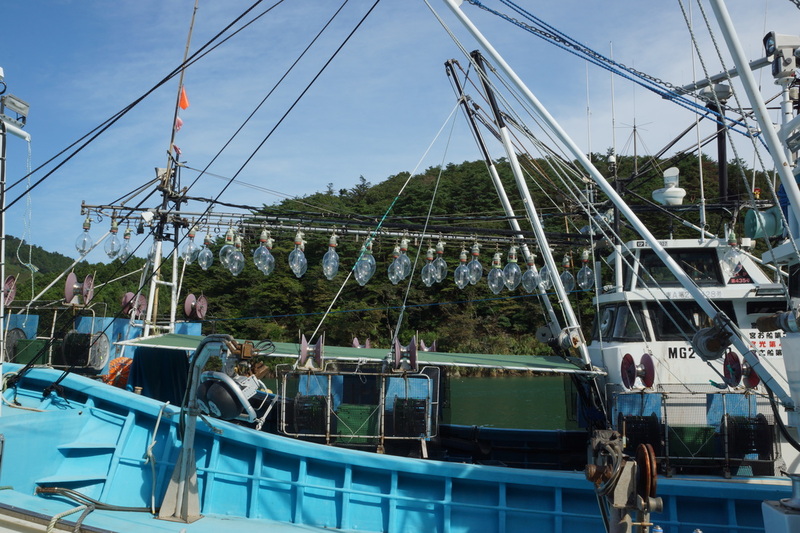 ​We had lunch in a restaurant - conger eel on rice for Sheila, and tempura fish for me. Tasty but front-line prices at ¥3,300 for the pair of us, and no drinks. After lunch we walked across a bridge to the island of Fukuura-jima which has lots of native plant species and some fine views over the islands in the bay. We also nipped across a shorter bridge to a small island which has the Godai-dō temple, which houses five Buddhist deities which are shown every 33 years. The next time is 2039 so we decided not to wait and went instead search of an ATM which would take VISA or MasterCards. No luck, they only deal with local cards. It was at Matsushima that we failed to notice the prices on the car park, instead of the usual daily rate it was hourly - should have realised as it was a very touristy price. 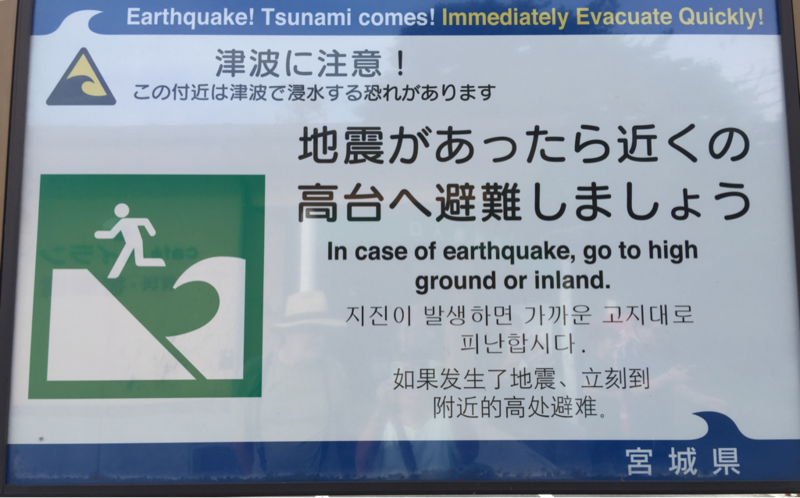 We headed first along the Ishinomaki Peninsula and saw first hand some of the devastation wrought by the tsunami. There has been lots of re-building since so there were lots of brand new jetties and a trellis of concrete reinforcement on many surrounding hills (presumably where landslides occurred). Some of the reconstruction is still in progress, and to provide protection in the future there were new offshore barriers and massive sea walls. In some places there were sets of ‘before and after’ photos to show the massive damage. We also came across some temporary housing - actually quite a lot of it. These formed long rows of what looked like statics or converted containers. This was once a tourist destination but no longer Fortunately there were also examples of life returning to normal. 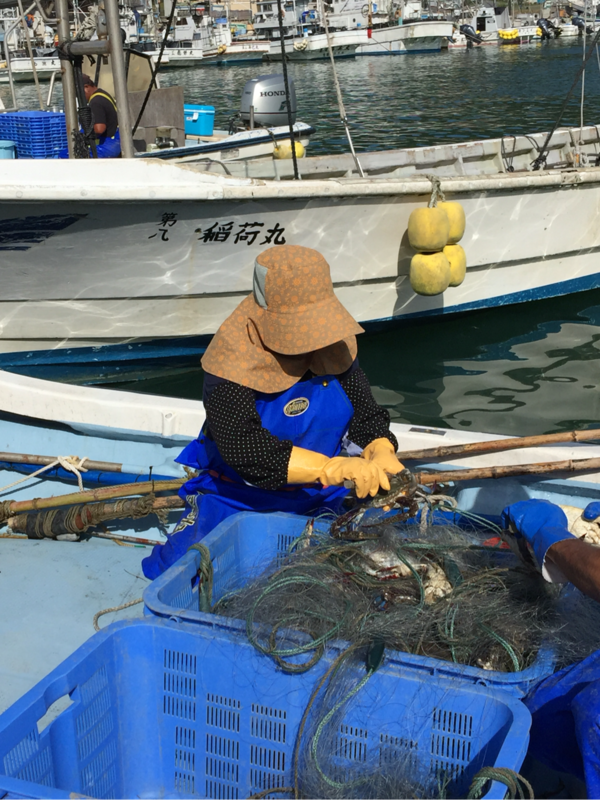 In the small fishing port of Mukaida we saw people separating crabs from the nets and boats ready for squid (lights) and octopus (black tubes) fishing. 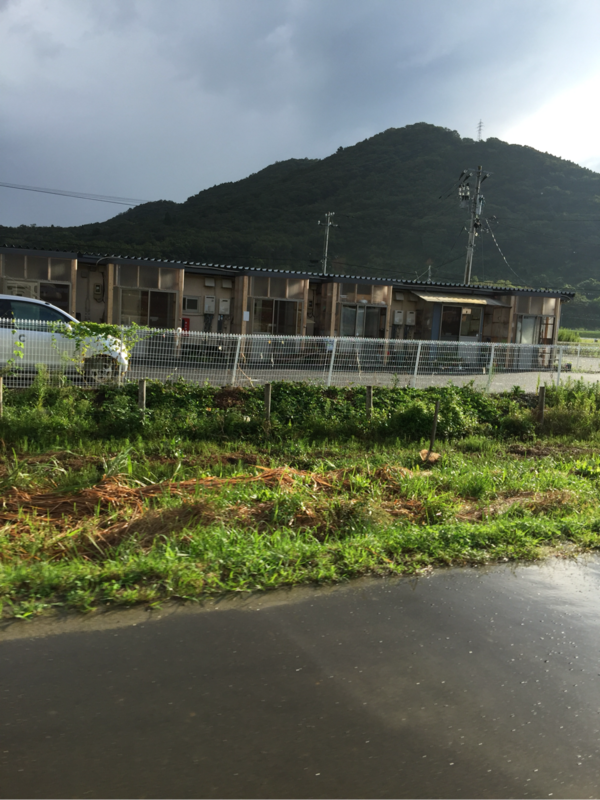 We overnighted at the Joubon No Sato michi no eki near Kahoku. This was a splendid place which had its own onsen which we sampled with great pleasure. Only ¥500 apiece.